Cycle Farms aims to recruit, train and develop local workers. For this reason, Cycle Farms has brought in Ghana three French managers to enhance a perfect launch for the factory and to bring the necessary trainings for the people employed in Ghana. 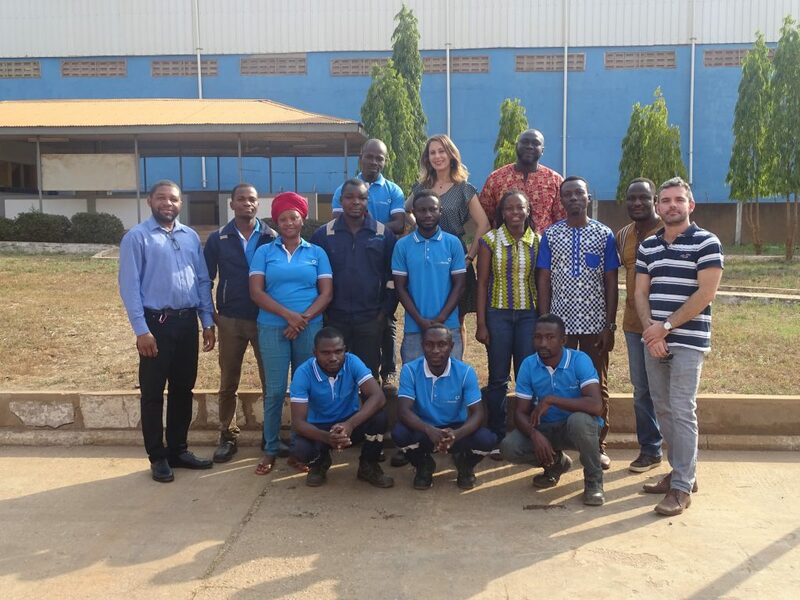 French R&D team is always supplying the Ghanaian team with the last innovations to improve the performance of our production (yield and quality of products). Cycle Farms is currently working with more than ten local suppliers. Cycle Farms developed strong relationships with its local partners and help them to increase the quality of the raw material they are supplying. This will help these companies to increase their turnover, create employment and develop new markets with international companies. These activities will strengthen the country economy and reduce the trade deficit. Cycle Farms Ghana is not only a producer of fish feed. We aim to be the first provider of service for our customer. Our expertise in feed allows the CF Team to give the best recommendation about fish nutrition. It is now 3 years that the team has been visiting farms. Cycle Farms has noted way of improvement for quantity and quality. The team is able to give some best practices on fish farming, still with respect to the local environment and with sustainable principles. The development of Cycle Farms customer is a major goal for the company.